Welcome to Funway Park (or Mel’s as we are fondly known)! From April through October, we are a family friendly Fun-Park featuring an Arcade, Go-Karts, Lazer Tag, Lazer Maze, two Mini-Golf Courses, and Batting Cages. Our destination is perfect for Corporate or Private Events of all sizes. Planning a Birthday Party? Look no further! 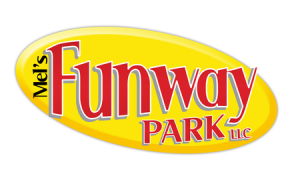 Funway Park is the place to be! In late September, Funway Park becomes home to SpookyWorld presents Nightmare New England and New England’s Largest Haunted Hayride!